I felt our baby kick on a Friday night. I cried. My husband and I were on our way to a fancy restaurant for a date when I felt those four strong kicks. He gave me one of those “you’re crazy, pregnant, and hormonal” looks, but I reminded him that I really hadn’t felt our baby kick very often. I dismissed any concerns I had, and comforted myself with the knowledge that I was only 19 weeks, almost 20, so maybe that’s why I wasn’t feeling frequent kicks. But because these moments were rare, when I felt these kicks, I was completely overwhelmed with joy and tears. I had no idea that 5 days later, we would find out our baby was gone. This is the story I’m not sure I want to write. I would never want to gain page views with the death of my precious baby. And I don’t even feel a need to immortalize him or his memory–God has done that for me. But when I think of all the ways that God has cared for us during this trial, I can’t help but share it. And when I think of moms who might feel a little less alone just by reading our story, then I know I need to share this story. I had a healthy pregnancy. Healthier than my other three pregnancies, in fact. I normally have hyperemesis, horrible morning sickness, but this pregnancy was different. I could go a week or two without vomiting at all. I still had lots of nausea in the first trimester, but at least I wasn’t throwing up all the time. It was amazing to feel so good in pregnancy. This could have been a warning to me that something wasn’t right from the beginning. There’s no way to really know. For some reason, I had a bad feeling at my 18 week appointment, but I was completely relieved when we heard a healthy heartbeat. We scheduled my ultrasound for two weeks later. It seemed like everyone who was pregnant and due with me in November already knew their gender, and I couldn’t wait to find out. At 6, my daughter dreams of sharing a bedroom with a baby sister, since her brothers share a room. After waiting 2 1/2 years to become pregnant, this fourth baby was incredibly welcome and we were ready to pick out names. We debated doing a fun gender reveal with family but decided against it. Instead, my twin sister came to town to watch my kids for my 20 week appointment. They watched movies in my minivan while my husband and I went in for our ultrasound appointment. Afterwards, we would go shopping for a sweet little pink or blue coming home outfit. Looking back, I’m so glad the kids weren’t in the appointment with us, which is what we’ve done in the past. I’m especially relieved that my husband was with me that day. I was lying down on the ultrasound table with goo on my belly. The ultrasound tech kept clicking away, measuring and entering data, but said nothing. My husband and I looked at each other anxiously and looked back at the screen, waiting to see our baby. But nothing was happening. I knew something was wrong. There was lots of silence, lots of awkwardness. I had expected joy. Finally, after much silence, she simply said “I need to go get something.” She wiped the gel off my belly and left the room. I wanted to cry. Instead, I looked at my husband. “Something’s wrong, isn’t it?” He agreed. But we weren’t sure. Fear and anxiety have become a weakness for me, a sin battle that I fight from time to time. So I immediately decided not to grieve yet. I told him that I would grieve when I knew for a fact that our baby was gone. Until someone told me, I would hope. I would not cry. After what seemed like an eternity, our doctor came in and told us that our baby was gone. We weren’t even able to tell the gender of the baby at the time. He was too curled up to see anything. We were completely choked up, silent, and overwhelmed with tears. We were sent to the doctor’s private office to grieve for a bit and then we met with her in an exam room to find out the next steps. I would have to deliver my baby. I already knew that. A few years ago, I watched a dear friend labor with her sweet baby Jack, who died around 15 weeks in the womb. Watching what she went through prepared me a lot for my own ordeal, and I was completely dreading it. My doctor told me that I would need to deliver my baby at the hospital sometime in the next day, tomorrow morning perhaps. We would slowly induce labor for delivery. At 20 weeks, our loss is considered a stillbirth, not a miscarriage, and many things would be different that what happens in a first trimester loss. Labor & vaginal delivery was ideal, with a c-section as a second choice and a D&E as a last resort. But the healthiest thing for me would be a traditional labor and delivery, my first VBAC. Labor & delivery would also enable me to hold our baby, which is an important part of the grief process with stillbirth. And without a c-section, I could recover quickly. 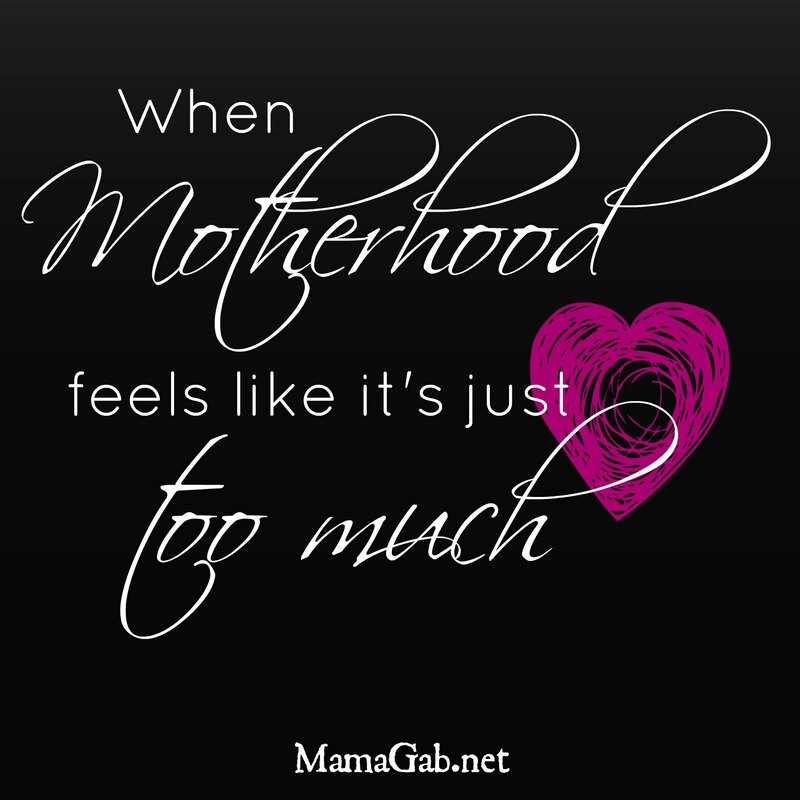 For me, in a traditional c-section, holding and caring for my babies is the best medicine for the pain. Without a baby to hold, c-sections are simply miserable. My doctor is very maternal, and recommended we go home and process all of it with family and friends. There would be a million decisions in the next few days, all of which we were completely unprepared for. We would need to choose a name for our baby and a funeral home for burial or cremation (this is one of those things that changes once your loss becomes a stillbirth). But before the decisions came, my doctor wanted me to rest and prepare physically, emotionally, and spiritually for all of it. A good meal and a hot bath were at the top of her list of essentials for me. She would give us time to discuss it all and make arrangements for our kids and then call me that evening to make arrangements for our hospital check-in. A nurse escorted us out of the building through a side entrance, to avoid the lobby and pregnant mamas. Then we made that dreadful walk out to the parking lot to tell our kids the sad news. My sister could already tell something was wrong; you can’t hide anything from your twin. Our kids were too excited to see us to even notice our tears. We kept it simple: We told them our baby died. He died while he was still in my belly and is now in heaven. Me too, baby, me too. Our younger boys were confused. My 2 year old was quiet and subdued, taking his cues from the rest of us. My 4 year old cried and was very sad, but wasn’t sure what to make of it all. I’ve noticed that to little ones, death doesn’t mean a whole lot. All they know of death is that 1) it involves going to heaven and 2) Jesus died and rose again. We were reading Little Pilgrim’s Progress with our kids and in the story, the children can’t wait to get to the Celestial City. Death can’t be that bad, can it? My daughter cried the whole way home and my 2 year old played obliviously. My 4 year old wanted to play but knew everyone was supposed to be sad, so he didn’t. I told the kids that they were free to feel whatever emotions they were feeling. If they felt sad, be sad. If they felt happy, be happy. There’s no wrong emotion for them. That seemed to make my 4 year old feel more comfortable and my six year old continued to cry. So did I.
I was in a fog, almost numb to the idea that this was happening to me after 3 healthy pregnancies. We never think it’ll happen to us. There would be many more tears to come, but so much hope in Christ. I’ll share our labor and delivery story soon. Oh, I wish we could get together and talk in person, Lisa. I’ll make it a point to continue praying for you. Let me know when you’re having a rough day or rough week again. I know how that is, and you just never really know when it’s going to hit. I’ve been doing so much better in the past few weeks, but I know grief comes in waves. I found this post from the one that you shared on Humbled Homemaker today. Reading this brought back so many memories of when we told our older kids that our baby had passed in July. Such a tough thing to hear your kids sobbing and grieving, even though they don’t understand. Such s tender and fragile moment that was. Thank you for sharing your story. Reading about others experiences has been helpful to me and many others.